Live on the Green: Through September 1st, Lightning 100 presents a weekly (and free!) outdoor concert series in the heart of downtown. Artists include Jimmy Eat World, X Ambassadors, Trampled by Turtles, and many more. 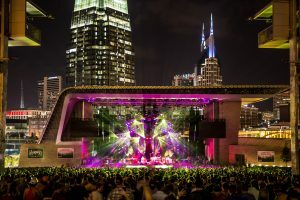 Kicking off at 6 p.m. on Thursdays, be sure to arrive early to grab a bite from one of the many food trucks, like Nashville favorite The Grilled Cheeserie, and secure a good seat before the show starts. 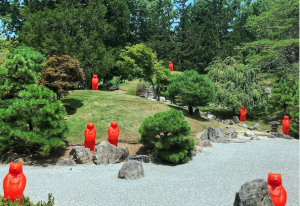 Cracking Art exhibition at Cheekwood: The artist collective behind our beloved penguins, Cracking Art, has taken over the gardens and mansion at Cheekwood with a site-specific installation. There, you’ll find a menagerie of animals, including our favorite, a Zen Garden of red bears. The animals are an unexpected surprise among the beautiful blooming flowers and greenery but don’t skip the mansion. Cracking Art’s whimsical placement throughout the top floor of the historic home is nothing short of inspired. This exhibition runs through September 2nd. 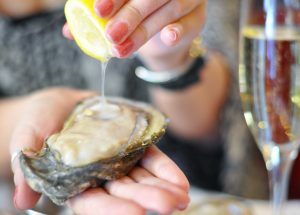 Oyster Happy Hour at Henrietta Red: If you’re looking to expand your scope beyond the typical Broadway haunts, Henrietta Red has a daily happy hour (yes, even on the weekends) featuring $2 oysters and rotating drink specials. Hike at Percy Warner: Percy Warner Park is just a short drive from downtown Nashville, but you’ll feel like you’re far away from the city. 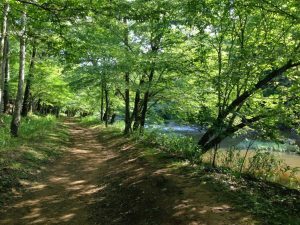 With several trail options, you can choose something moderate like the 2.5 mile loop Warner Woods Trail or something more challenging like the 4.5 mile Mossy Ridge Trail. Before you hit the trails, we recommend grabbing breakfast at one of Nashville’s bakeries (and one of our favorites), Dozen. Located in the up-and-coming Wedgewood-Houston neighborhood, this bakery has some of the best pastries in the city. Docent Tour of Seeing Now: On Wednesdays and Fridays at 5, we offer free guided docent tours of the current exhibition, Seeing Now. 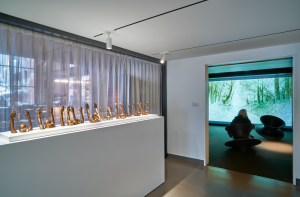 Exploring perception in the 21st century, this multimedia exhibition includes work by contemporary art heavy-weights like Hank Willis Thomas and Toyin Ojih Odutola, as well as up-and-coming artists. You can even grab a drink at Gray & Dudley before the tour.